Saliva constitutes about 98% of water and many important substances, including various enzymes, mucus and antibacterial compounds. It does more than keeping your mouth wet, helping in moistening food, creating bolus and aids in the digestion process. It also helps to wash away any bacteria or food particle left on or between the teeth after eating or drinking. Dry mouth results when the salivary glands are unable to secrete as much saliva your mouth needs to carry out all these tasks resulting in the risk of dental problems such as tooth decay. In severe cases, patients may end up losing their teeth as a result of tooth decay. Dental implants are the best-suited replacement for you if you suffer from dry mouth. The reason is simple, the dental implants are not affected by bacteria or plaque. Dental implants in Melbourne take two or more visit to your surgeon depending on the severity of your tooth problems, age and time taken for healing. In the first consultation, the surgeon would give you a brief about the procedure and anaesthesia. Once the procedures are explained, on the day of surgery, a titanium post is implanted in the patient’s gum, and it is left to fuse with the bone and gum structures. A temporary implant is placed to protect the implants. The process is pain-free as they are done under either general or local anaesthesia. 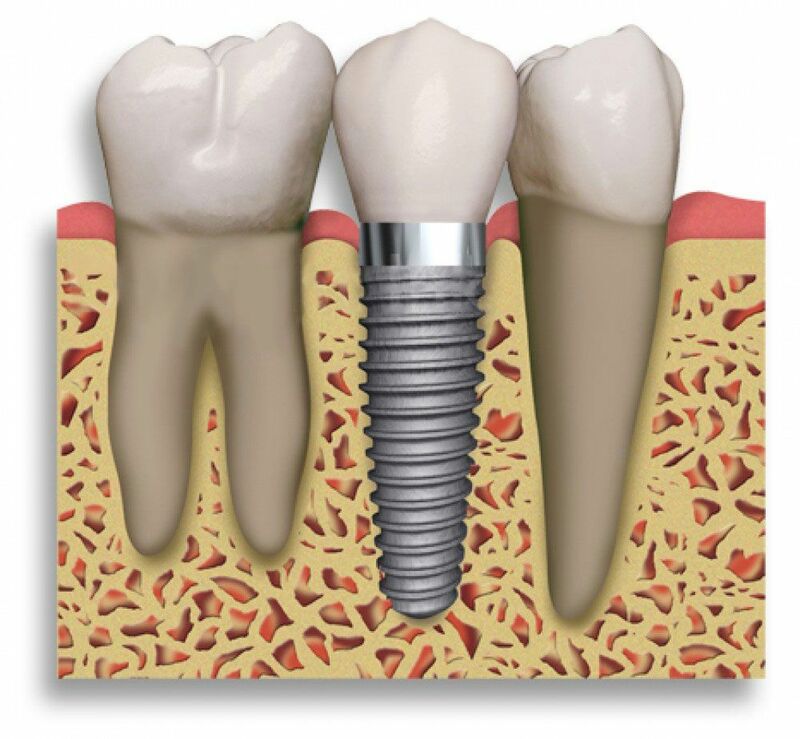 Once the implant fuses, on the next visit, the temporary implants are removed and replaced with permanent ones. The dental implants cost in Melbourne are affordable and gives you the feel and look of natural teeth. Typically in dentistry, if a patient suffers from tooth decay, then the dentist would remove their decay and fill the tooth. But, for patients suffering from dry mouth, the best option to treat a decayed tooth is removing them and replacing with an implant. As decay is constant for a patient suffering from dry mouth, even if you get your tooth filled the natural tooth structures beneath the filling will still be susceptible to decay. Dental implants do not decay and are perfect for people with dry mouth. There is no threat for infections in the future requiring any restoration work. It can restore your smile. The dental implants consist of a titanium post that is embedded in the jawline to which the crown or the artificial tooth is mounted. It feels, functions and looks just like a natural tooth. Dental implants can also help in preventing your jaw bone from deteriorating. Unlike fillings, the dental implants in Melbourne are permanent. If you care your implants properly as instructed by your dentists, you can have your implants for a lifetime. Dental implants assist in supporting better oral health. Caring for the implant is very easy, it just requires proper brushing and flossing. To sum it up, affordable and cheap dental implants in Melbourne are the most effective solution for people suffering dry mouth.